Casino operators are circling Pennsylvania’s empty mall anchor stores. Penn National Gaming wants to open Hollywood Casino York at CBL Properties' York Galleria Mall, in Springettsbury Township, Pa.
Penn National Gaming Inc. filed an application with the Pennsylvania Gaming Control Board to open a mini casino with 500 slot machines and 20 tables, in a 79,000-square-foot former Sears space at CBL Properties’ York Galleria Mall, in Springettsbury Township, Pa. Construction of the $120 million casino is expected to take a year once approvals are in place. “We explored numerous other potential opportunities within York County, but the mall’s convenient location, existing infrastructure and ample parking … helped cement our decision,” said Penn National CEO Timothy J. Wilmott in a news release. And Penn National Gaming is not the only operator with plans to open a mall casino. 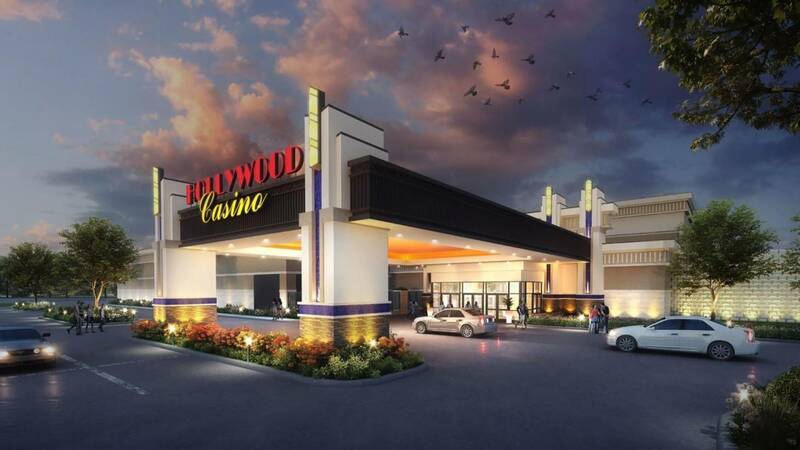 Stadium Casino LLC, a joint venture between The Cordish Cos. and Greenwood Gaming & Entertainment, is planning a 10,000-square-foot mini casino in a former Bon-Ton space at CBL Properties’ Westmoreland Mall, in Hempfield Township, Pa.